I have fallen in love with this girl’s style. And I’m not a dress kinda girl. But when this girlie does accessories….she DOES IT WELL!! Check out the Chanel brooch on a faux (NOT CHANEL!) vest….love it!!! And don’t forget to click on the link to see her blog…. 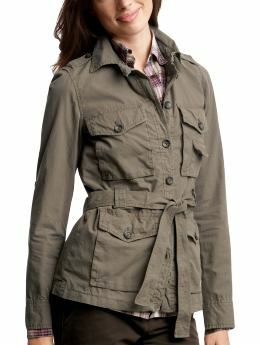 Posted by The Farmer's Trophy Wife on June 11, 2011 in Fashion & Beauty, This girl has style! This ones for you Kimberley and Cheyenne! First, super cute shirt from Spool No.72. Love this vintage looking belt from Buckle. Add your own boots and jeans…and then the icing on the cake…. Ok, so this isn’t 100% practical, but there are a lot of good knockoffs out there. Just keep your eyes peeled…and until then, you could bagborroworsteal! Continuing my top 100 (can’t live without) list!! 31- Comfy pants…being on a farm means that I get to have “town” clothes and “home” clothes. And when I am at home, there is nothing I love more than a pair of comfy pants….so nice…. 33- Fur…yes I realize this may not be some people’s taste, and that I somedayI might get red paint thrown on me…but I’m ok with that! 34- Gigantic faux diamond earrings…I love and I wear with EVERYTHING!! 35- Perfume…this is one that I haven’t nailed down yet. 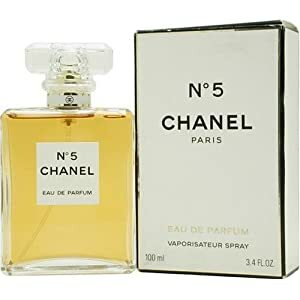 I have always wanted to have a signature scent…Chanel No. 5 is always a classic. 37- Knee high boots…love these with my wrap dress! 38- M.A.C. eyeshadow…love these and love the huge range of colors!! …these images are from this is glamorous blog where she is giving away the middle band…check it out and enter!! 40- Military coat…this is a huge trend right now, and usually I don’t jump on bandwagon, but I LOVE my new coat…it goes with EVERYTHING! 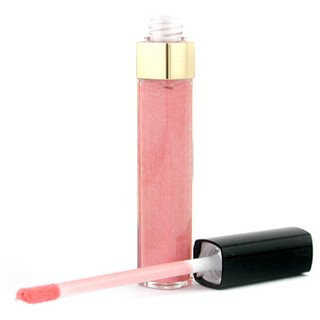 And to continue my top 100 items for my “I need it to function” list..
11- Chanel Lip Gloss…. my littlest sister got me one as a gift many Christmas’s ago and I’ve been addicted ever since. These and my lanolin “lip” balm is a fabulous combo! 12- Blazer…..this is my “uniform”…I love jeans, cute tee and a smokin’ blazer….I am determined to own one from Zara, the sizes there tend to run small and by the time I get there, the “normal” sizes are always gone!! Darn it! 13- L’Oreal Sunless Tanning Lotion….and ya’ll thought I was a natural bronze! 16- White Shirt…this is another wardrobe staple that works sooooo well with my uniform of jeans/blazer combo! 17- Carhartt….I live on a farm, these are ESSENTIAL!! 19- My favorite lotion is a tie between Burt’s Bees and Nivea. They both are a nice thick cream and smell delicious! 20- My boots….I told you I live in them! I recently read Nina Garcia’s book “The One Hundred”, where she describes her top 100 items that she can’t live without. 1- Cowboy boots…I LIVE in boots. 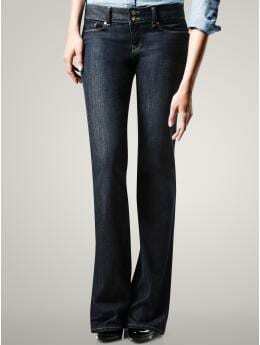 2- Jeans…..dark wash, trouser jeans are my fav. I love the Essential jeans from the Gap…until they discontinued them…..not happy about that, but this is their next best thing. 3- White tee…so easy to dress up or down. 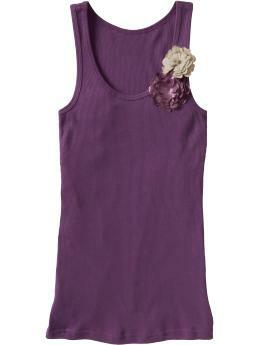 4- Tank tops…my favorite style is from Joe Fresh (superstore), they are long, cheap and come in amazing colors. My next favorite tanks are from Old Navy and Gap…they are really cute and oh-so affordable! 6- Bangles……these are gorgeous…and I LOVE this site by the way!! 7- Trench Coat….you can go with the basic beige, or go crazy with color and jazz things up…..isn’t this GORGEOUS!?!!?! 8- Wallet….this is the one my darling husband bought me! 9- Mascara……back in the day, any woman worth her salt wore lipstick no matter what was happening. Ask your mom, aunties or grandma, guaranteed that they had a tube of lipstick on the windowsill that they could throw on if a neighbour drove in. My go to is mascara…heaven forbid I go out without it! Hello and Welcome to The Farmer’s Trophy Wife blog!! I’m Cathryn…a mom of two, a farmer’s wife and a nurse. I’m LOVE, LOVE, LOVE anything that sparkles or shines and will be the first to admit that although slightly impractical out on the farm, I love my fashion and glam. I’ve been known to work the Chanel lip gloss while out sorting cows and, although my husband laughs at me, own the biggest sunglasses I can find out here! And the “Farmer’s Trophy Wife” title is self-made and very tongue in cheek…what farmer has the time or patience for a high maintenance woman!? So, I hope you enjoy and feel free to comment, I’d love to hear from you!! !